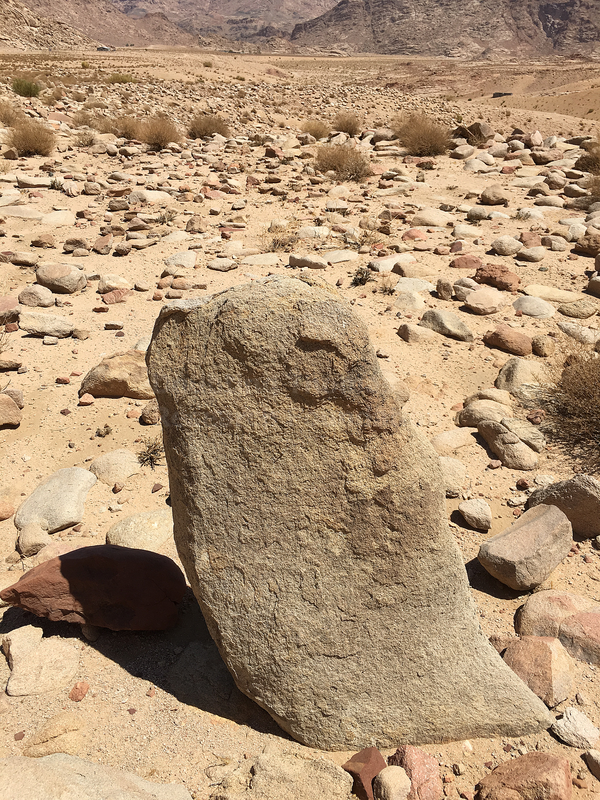 Approximately 4 miles from the likely Golden Calf Worship Site is a large, likely ancient and undeniably pre-Islamic graveyard that is fenced off. It is marked as an archaeological site by the Saudis and a police station is nearby. 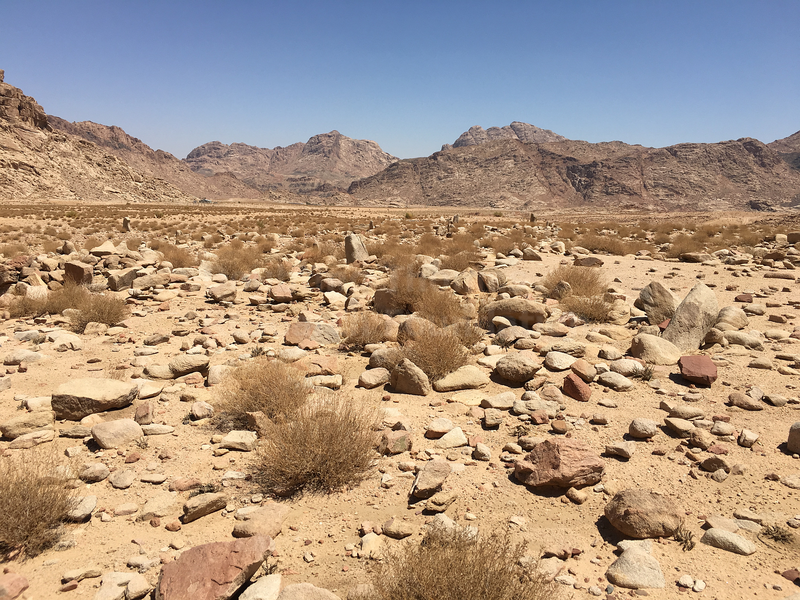 If Jabal Maqla is the real Mount Sinai, then this graveyard may be where the 3,000 Golden Calf worshipers were buried after they were killed for their idolatry. It may also be the burial spot where the 20,000 Israelites who died from the plague were buried. 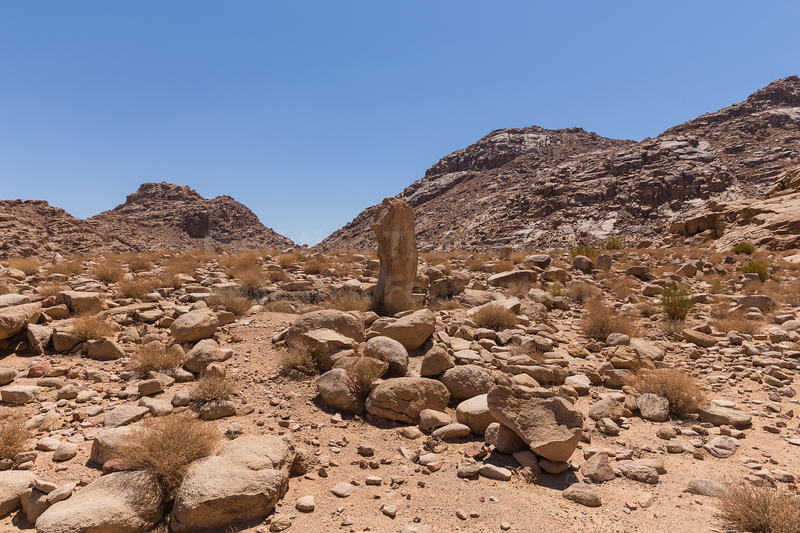 The location of the graveyard makes sense within the context of the Exodus story. The graveyard would not be allowed near the holy precinct in front of the mountain, nor would it be within the large plain where the Israelites camped. The graveyard is on the outer edge to the north, just outside the plain and off the path that they would have traveled. It is where one would logically expect it to be. The graveyard is definitely pre-Islamic because the use of upright headstones is forbidden in Islam. The site appears to be from ancient times, but no scientific dating has been published thus far. The graveyard is approximately 300-400 yards across, about as big as a football field. Analysis of overhead imagery indicates that the graves are laid out in organized rows of rectangles and squares, and that these graves were probably dug all at the same time. It fits the description of a mass burial site. The headstones are a variety of sizes. 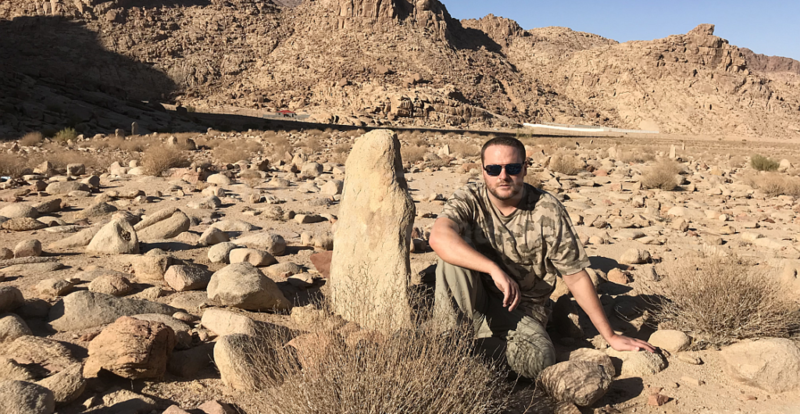 Jim and Penny Caldwell, an American couple who lived in Saudi Arabia and explored the area in the early 1990’s, theorize that the largest headstones may represent a family instead of a single person. Unfortunately, there are holes next to many of the headstones, indicating they have been raided by grave-robbers. The Saudi government has not publicly addressed the purpose of this site to our knowledge. 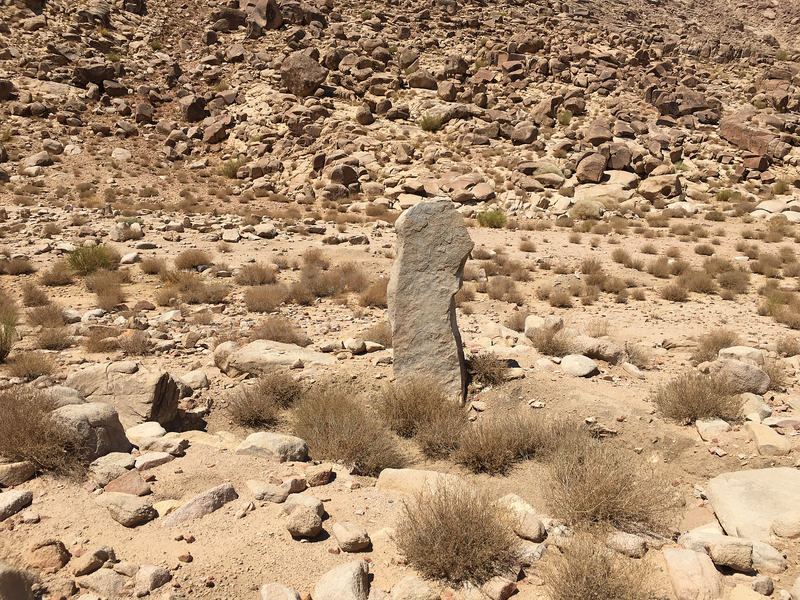 The team of archaeologists who were commissioned by the Saudi government and published a rebuttal to the theory in 2002 did not mention the graveyard. Could this be those 3,000 Israelites’ final resting ground? Have you considered scanning the ground of the graveyard? Since they committed such a terrible sin, do you speculate that they would have been buried in a box or just dropped into the ground? If you could get DNA samples, I wonder what it would show. The DNA is probably too old though. That’s an interesting idea. I’m not sure what equipment we would need for that though, but it may be something to look into in the future. It’s really unclear how they were buried. 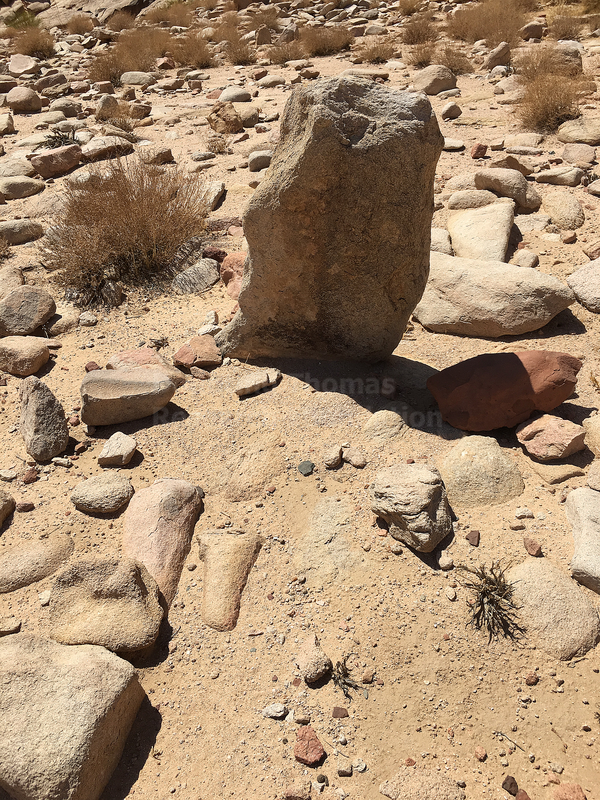 Given that this desert has little vegetation or trees, I don’t think it’s likely they were put into anything like a casket. The slain were more likely just buried as they were in the ground. As to whether they were all placed in individual graves, or one mass grave, that’s also unclear. The Biblical record doesn’t give us many details on what happened immediately after the Golden Calf incident. What we do know is that this graveyard is certainly not Islamic, so one of the few theories that makes sense of this spot is that this is where those people who were killed after the Golden Calf incident were buried. I am wondering if the laws concerning a 7 day cleansing after handling a human corpse were in effect at the time this happened. It appears from the text that those instructions came later. Who would have gathered up these bodies to be buried and how would they have transported them 4 miles off? Would they have had to observe a period of separation from the camp afterwards?